IARC | Centre for United Nations has a dedicated Climate Change Program. The COP Programs (2015-2030) initiative was officially launched at COP 21, Paris through a special event titled The Dharma of Climate Change. UNITES 2016 includes a special session titled COP+22 Climate Action. It will focus on Climate Action in sync with the agenda of COP 22, Maraakech. 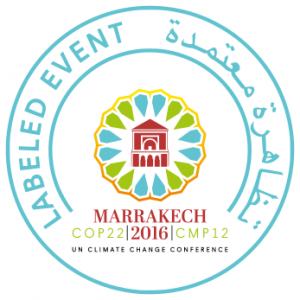 The COP+22 Climate Action Program has been awarded the prestigious Official Labelled Event status by the UNFCCC COP 22 Steering Committee.